GGPoker €100,000 GTD Masters is bringing back Pure Poker! IPO 2018 Dublin: Ireland’s most favorite poker festival is back! (Slovenčina) SSOP Opening Event odštartoval festival skvelou účasťou! The iconic Summer Festival returns to Galway! 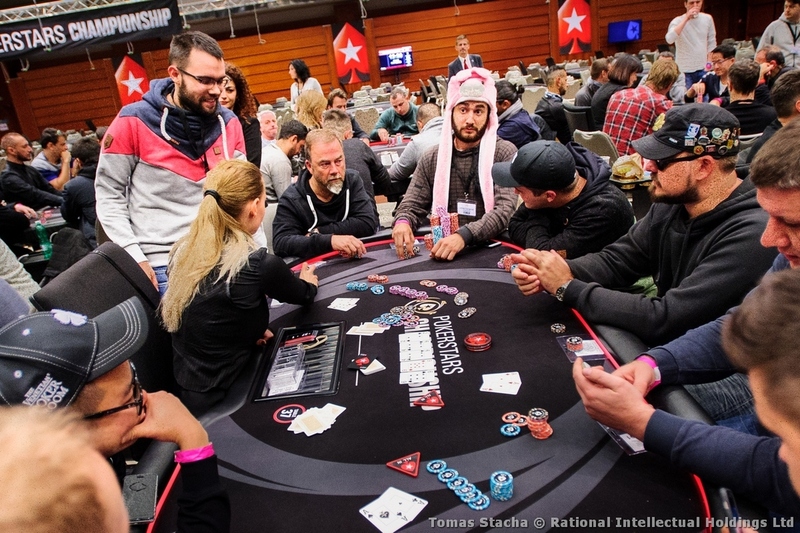 Slovak Series of Poker 2018: Bigger and better than last year! Dag Palovič: I see real success in being helpful! Eyal Bensimhon: Wearing costumes brings fun to the poker table! Eyal Bensimhon is a successful poker player from Israel. The winner of the WSOP International Circuit €1,650 NLH – Main Event 2017 in Rotterdam and WSOP International Circuit – Monster stack event in Rozvadov. Eyal is definitely a rising Israeli poker star, who has over $594,546 in total live earning according thehendonmob.com. But what makes him so unique at the poker tables? It must be his extravagant style! 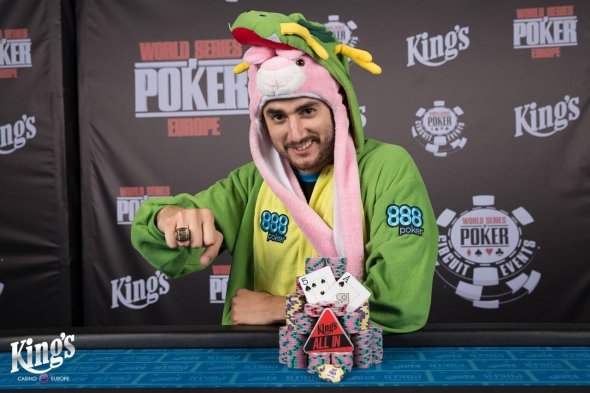 He plays wearing funny-bunny headwear, costumes and brings a lot of good vibes to the poker tables. Ladies and Gentlemen, Eyal Bensimhon! Would you mind telling us something more about yourself? I´m 34 years old, living in Vienna for one year already. I´m originally from Israel, but playing with a french passport. After I divorced 2 years ago, I decided to start fulfilling all my dreams and the biggest one was to become a professional poker player in Europe. I quit my dream job as a content manager at 888poker and left Israel. I´m also organizing poker events for Israelis in Rozvadov as a part of the Kenta Poker Group. Can you tell us a bit about your background and how you got started in poker business in the first place? Five years ago, I used to play very amateurish with friends from work. It was €10 game every week. One day, a new guy who was semi-pro came to play with us and he kicked our asses! It was for the first time when I realised that there was something more in that game. I decided to start study poker at the Israeli Poker Academy which was just launched in Israel. I learn the basics there and gained more experience. Due to my poker knowledge and my professional experience as a content manager, I got hired to work at 888poker. I meet some of the best players in the world who tought me a lot. In 2017, I had a crazy year which included something like 45% ITM and some big scores including winning two WSOPC rings. This allowed me to build my bankroll and gave me a shot as a pro! You are well-know as a player that really enjoy it at the poker events. You love to wear funny headwear or costumes. Is there any particular reason behind this extravagant image or you just like to be get attention? I believe that one of the most important things for a pro player is to succeed is a financial stability. Especially for a beginner pro. Wearing costumes brings fun to the table, and it is also my way to brand myself. I want to get sponsorships, which I already got from the Kenta Poker Group. I have been invited to private games and became a poker influencer. All these things eventually worth the money. What´s your stakes or what tournament do you like to play and why? Do you have a favourite place where you love to play regularly? I´m playing low & medium stakes (€220 – €1650 Buy-ins) and my favorites tournaments are the WSOPC. Their structures are great and the fields are pretty soft too. My favorite casino is the Kings casino Rozvadov where they have the best and the nicest staff in the world (dealers, floors, masseuse, waiters etc). A lot of them are my friends and it gives me the feeling of a home casino. Can you tell us something about your future poker plans? Do you have any goals that you would like to achieve in 2019? My plans is to put a lot of efforts in content creation which is also something I really like to do. In 2019, I´m planning to study poker as this is something I abandoned last year. Also, I will launch my live tells workshop which is something that I´m working on for a some time now and it´s really going to be super great! Eyal,Thank you very much for the interview! We wish you very best of luck and hope all your dream will come true!